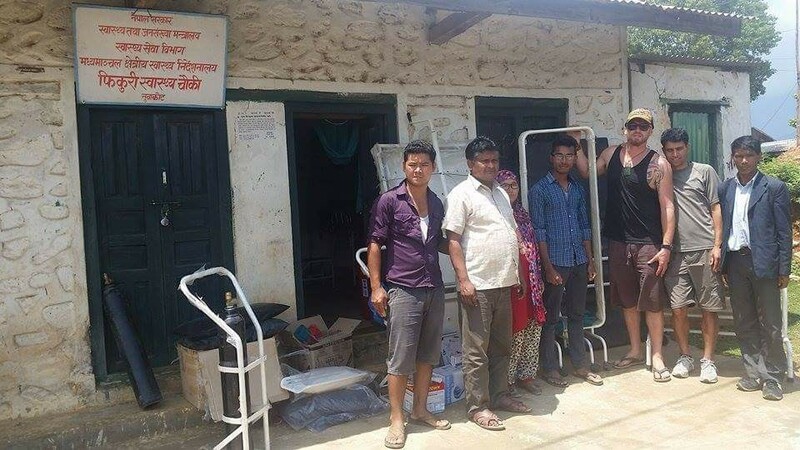 The idea to refit the Sikuri Medical Clinic in Satdobate villlage with updated pre and post natal equipment was brought to the table by Carol Hedgman, a nurse/mid wife from New Zealand. 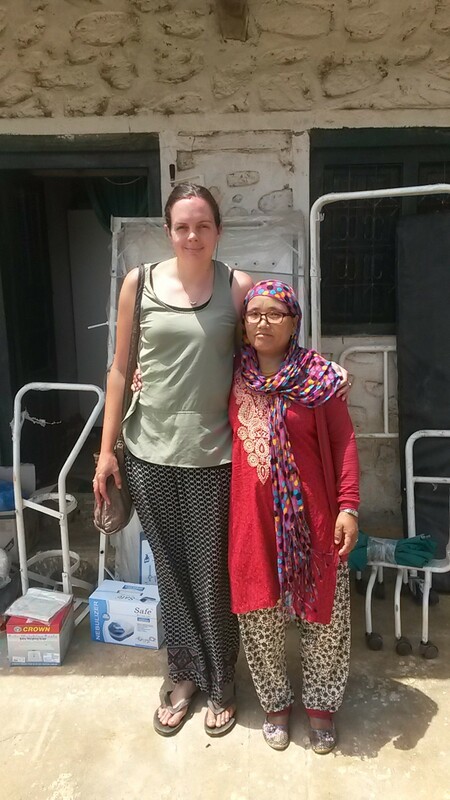 She visited the medical centre with Arjun on a trip to the village organised through Dan and Active Hearts. 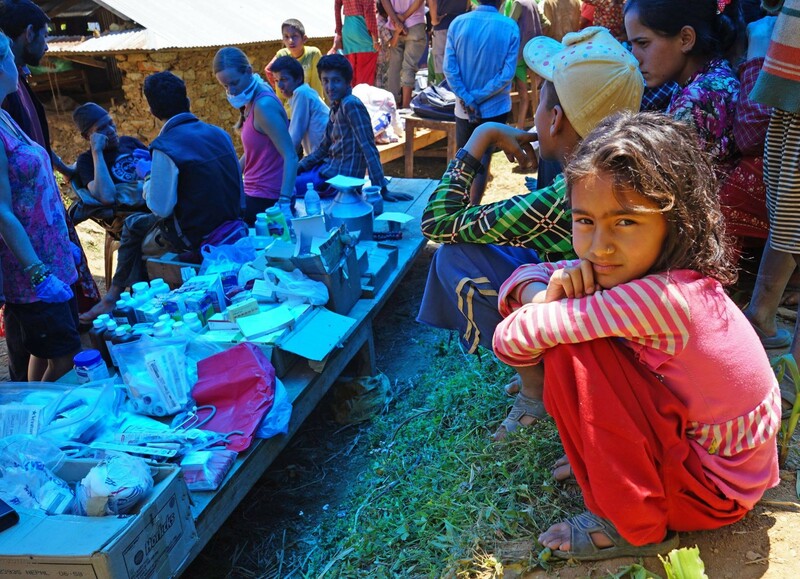 So far our efforts in Nepal had been in education, infrastructure and earthquake recovery. Carol had been researching the high infant mortality rates in Nepal and why. Lack of trained professionals and safe, sterile equipment in these remote areas were large factors. After visiting the Sikuri Medical Clinic and discussing the needs of the local mothers and midwives Kelsey, our team nurse, came up with a list of much needed equipment. Dan and Arjun contacted the Sagarmatha Meditech Solutions company and after a bit of research on purchasing and transporting costs from India we had our wish list and quotes. Kelsey in the meantime had returned to Alaska and was organising a fundraising evening at her parents Carol and Hal’s home outside of Fairbanks. The date set was Dec 20th 2015 and the event was called ‘A Taste of Nepal’ The guests were to be treated to a delicious array of Nepalese food including vege and chicken curries, Nepalese dal (lentils), rice, chutneys and naan breads. Kelsey would be sharing the Active Hearts story and videos while Dan would make an appearance via skype. 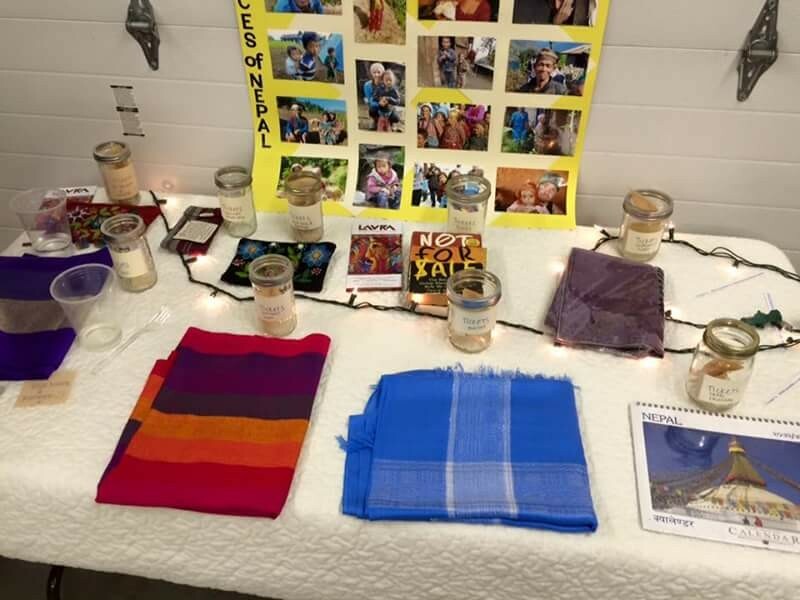 Also to be held was a silent auction of gifts from all over the world and a raffle. The evening was to be capped off with entertainment from sister and brother duo Teal and Luke Rogers. 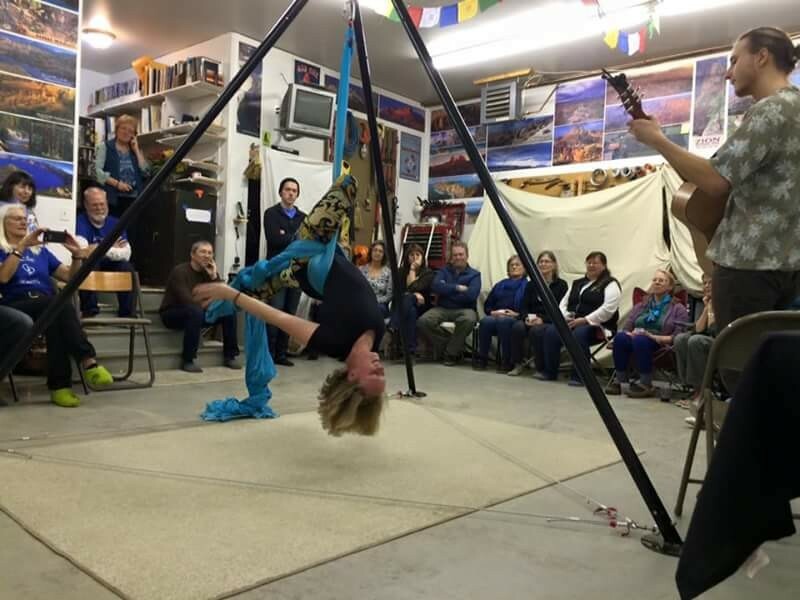 Teal would perform on her aerial silks and Luke, a fantastic guitarist, would provide the music. A $10 donation to Active Hearts was asked of the guests to attend. The temperatures were -15C or 5F and the sun was up for only about 3.5hrs long with the setting at 2:45pm. A perfect evening for ‘A Taste of Nepal’ Guests were reminded to bring their slippers! The evening was a hit! 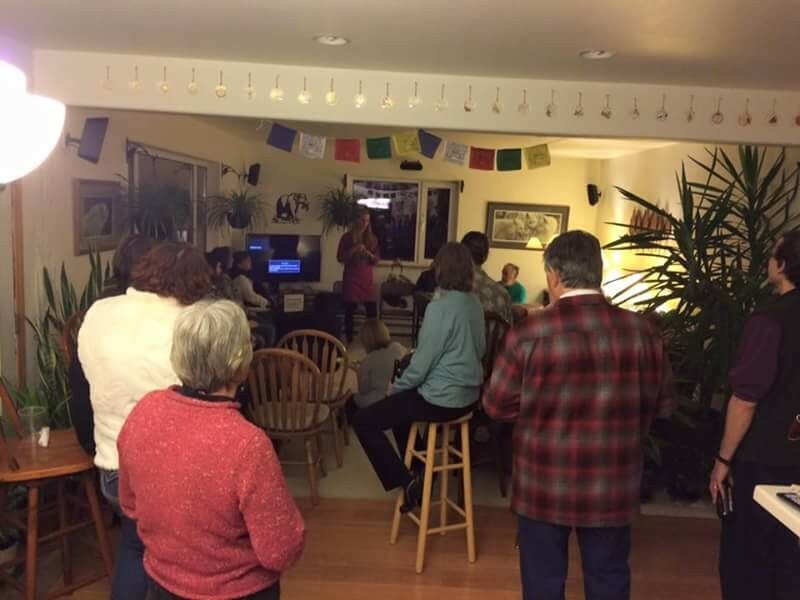 Approximately 35 people came to enjoy ‘A Taste of Nepal’ and an incredible $2012USD was raised! Kelsey, her family and the volunteers did an incredible job with the food and Teal and Luke's performance was very impressive. Dan popped in via skype and there were some happy folk after their auction wins. 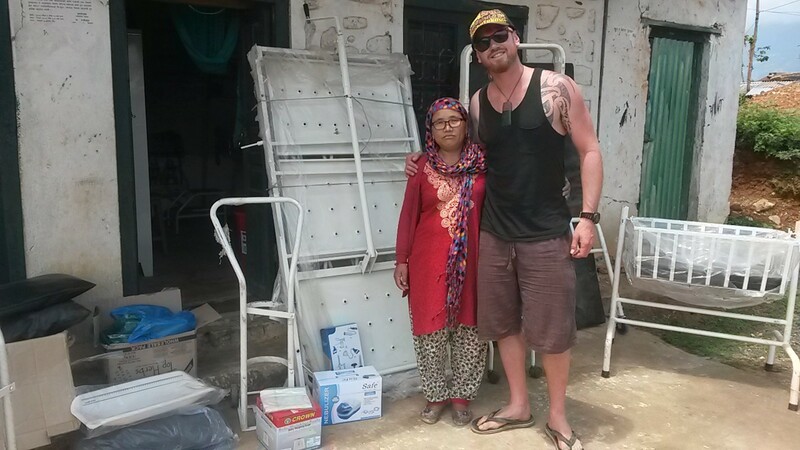 Dan and Arjun also purchased stretchers, heaters and gumboots for the midwives. 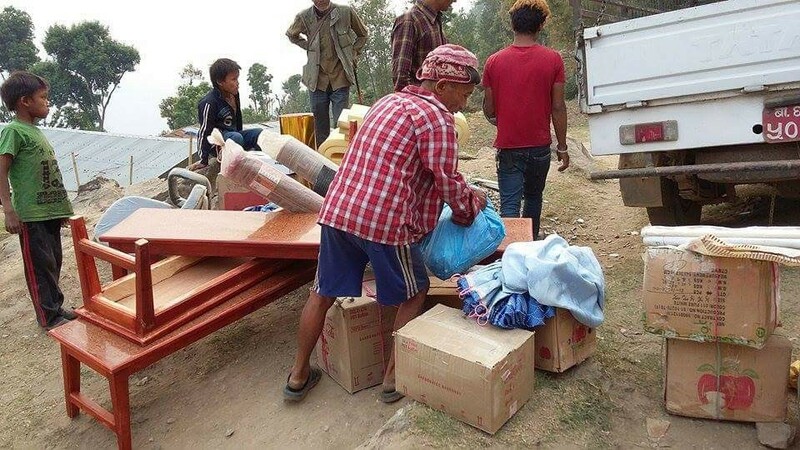 The equipment all arrived by truck from India a few weeks later. The equipment was gifted to the Sikuri Medical Clinic on 29 May 2016, exactly 63 years after the first Mt Everest summit. This was in conjunction with the second Active Hearts library which was opened at Shree Aiselu Bhume Higher Secondary School in Kahule village about a 2 hr walk away. Read about the Kahule School library here. The Hearts team would like to thank all those who helped with the Sikuri Medical Clinic. The equipment, although just a small token of support, will allow the experience of rural birthing to be a little more private, comfortable and safer for the mothers and midwives. We look forward to continuing to assist the medical centre and extending our reach further as we grow.